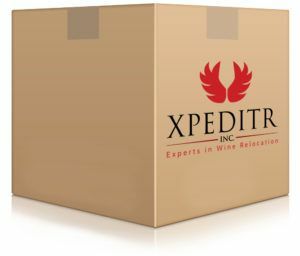 Wine Moving Boxes & Wine Transport | Xpeditr Inc.
Getting your wine prepared for transport is extremely important when it comes to moving a collection between geographical locations. A professional wine moving company should always be your go-to solution for proper wine packaging. At XPEDITR Inc. our professionals are trained how to safely, and securely pack bottles to remove the worry about any accidents in transit. At XPEDITR Inc. we provide white-glove residential packing service and cover all the steps necessary in ensuring that your bottles are protected. In the process, our experts Shrink-wrap / Label collections together to make one solid unit, guaranteeing that zero bottles go missing. We have customized Xpeditr wine boxes for sale to handle any size of wine bottle, even German Riesling’s, and those wide bottom Pinot Noir’s from Oregon. Don’t forget Champagne! If you’re insistent on packing or moving your wine by yourself we highly suggest you call us for a free consultation. At XPEDITR Inc. it is our duty to help you make the best decision on the quality transport of your wine. “Amazing wine relocation service! Your team was timely and efficient. A carrier that asks you to pack/ship or overnight in Styrofoam means they cannot guarantee the temperature of your collection during transit. Styrofoam also takes up much more space in volume, increasing your shipment cost. Not to mention it is terrible for recycling! Keep your wine relocation green and environment friendly. Styrofoam boxes are safe, but they take up much more volume, driving up your shipping cost. Since XPEDITR Inc. only uses temperature controlled equipment, styrofoam is not necessary. Keep your bottles of wine safe with our durable shippers specialized for wine transport. The only shipping method for wine is with refrigerated trucks. Our boxes are double walled and of uniform size, making them the perfect carriers for your delicate wines. Boxes come with large hand holes, so they are easy to carry. Boxes ship flat, saving shipping cost and storage space. Grooved inserts accommodate a variety of bottle shapes and sizes. Lightweight and tough, our wine shipping boxes are environmentally safe, and fully recyclable. Do Not pack your wine upside down for transport. 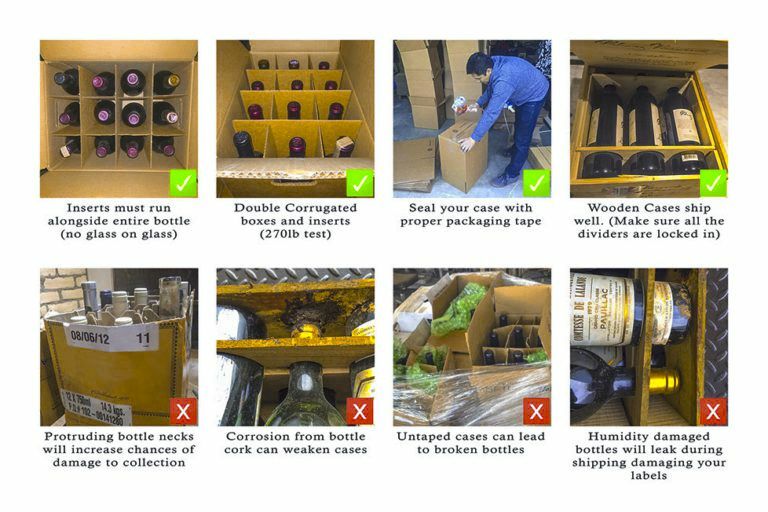 Shipping upright is strongly recommended & Shipping bottles on their sides is not recommended, that is for storage only. Always give your box a quick shake to ensure there is no glass-on-glass contact. Wine boxes come in a variety of structures and sizes, but most are not safe to ship your collection over the road. Common misconceptions are that recycled liquor store boxes with thin, 1 Ply, box inserts will travel safe, but they will put your bottles at risk. Please click here for more tips.